For about two years, I spent an hour every afternoon on the phone with a fourteen-year-old who was struggling to figure out what it meant to be himself, to be a young man, and to be a young man of color. Adolescence can be a slippery time for any kid, but add on a dad in the criminal justice system, poverty, and the treacherous nature of racial injustice, and it becomes an absolute whirlpool. At a time when our nation is trying to figure out how to improve – greatly improve – the outcomes for young men of color, EPIC can guide our way. 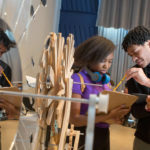 Because their goal was to create a school where students flourish (and maintain vigilance against deficit thinking and other traditional assumptions of education), the EPIC team engaged twenty student design fellows from a range of NYCDOE schools to collaborate in the year-long design process. 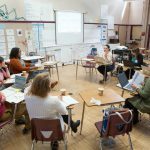 The student design fellows were especially integral to developing frameworks for the schools’ restorative practices and CORE advisory program. 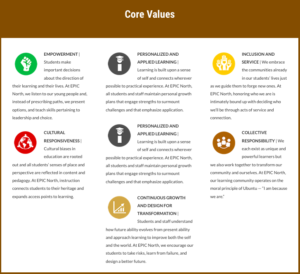 The result is a nine-part design that makes up the EPIC Schools approach. 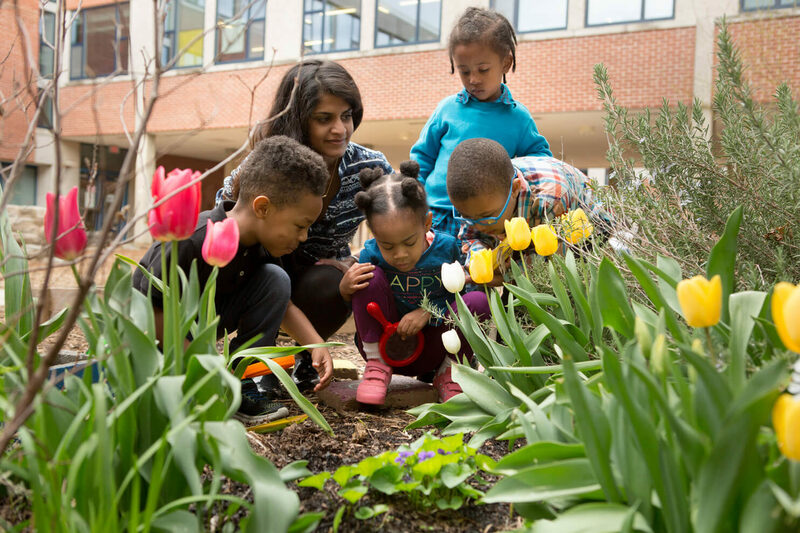 Culturally relevant education – connecting learning to the cultural backgrounds and experiences of students – is the heart and soul of the school culture at EPIC. In order to create a culturally relevant culture and educational program, staff need to know about the cultures of their students and what is happening in their lives. It means being comfortable talking about race and gender, understanding the impact on education, and coming up with ways to eradicate all those “isms” that shape the lives of children and teens. It means meeting the kids where they are in their development in exactly the same way we meet them where they are academically. As you can probably guess, the students here also had something to say about their relationships with teachers. In fact, every hand shot up when I raised a question about the EPIC North staff. The responses varied but followed a definite theme of trust and respect and love. Staff treats us with respect. You feel a bond that you can trust. There is never a dull moment – I like the love they give us. They show us they really care. Even when I had issues with another student, Miss Jones pulled us out and helped us understand each other’s perspective. She showed us that we cared about each other. When I was feeling down, teachers noticed. They paid attention, cheered me up. I felt like a younger brother. We have a lot of free speech. Teachers respond to what we say. An example of teachers showing us love is that they ask us what is working and not working. They try to fix what is not working. Teachers want the best for us. And they want us to be successful. 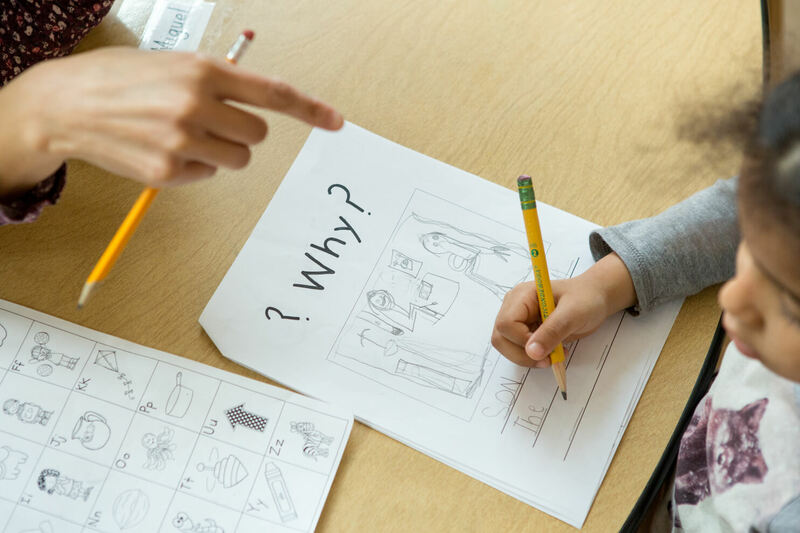 The EPIC team understands that student empowerment is critical for young people’s development, as well as for creating a personalized, mastery-based school in which teachers are facilitators. You can’t have facilitator-teachers without students being empowered. Moreover, they know that respect begets trust, which begets empowerment. Students have to know that they can count on stability in the environment, be aware of the rules of the game, and be able to get the feedback and support they need to be empowered student. Otherwise, it’s just setting them up to fail. 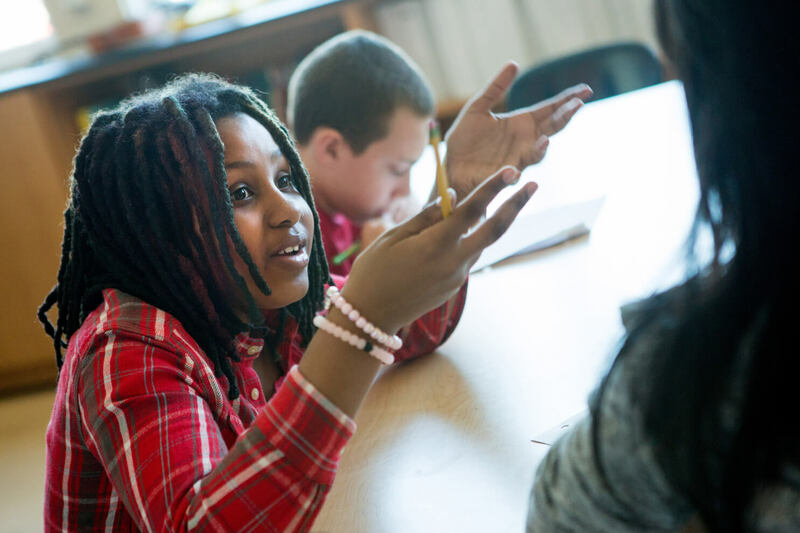 Another way that EPIC North is building trust is through their restorative justice practices. The traditional disciplinary policies that emphasize zero tolerance and suspending students from school undermine learning and introduce a feeling that students are not valued or don’t belong. 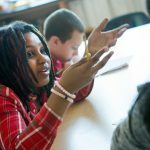 Given that disproportionate application of “zero tolerance” to African-American and Latino male students is thought to be one of the driving forces behind low graduation rates, EPIC North is seeking policies and practices that keep students in school, create learning opportunities, and strengthen the school culture of cultural relevance. 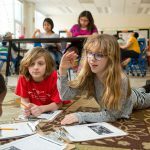 A weekly Fairness Committee made up of students and teachers meets to solve the problems of the school, dampen rumors, and practice restorative justice. Discussions focus on the events, different perspectives, how it harmed the community, and ways to resolve the issues. 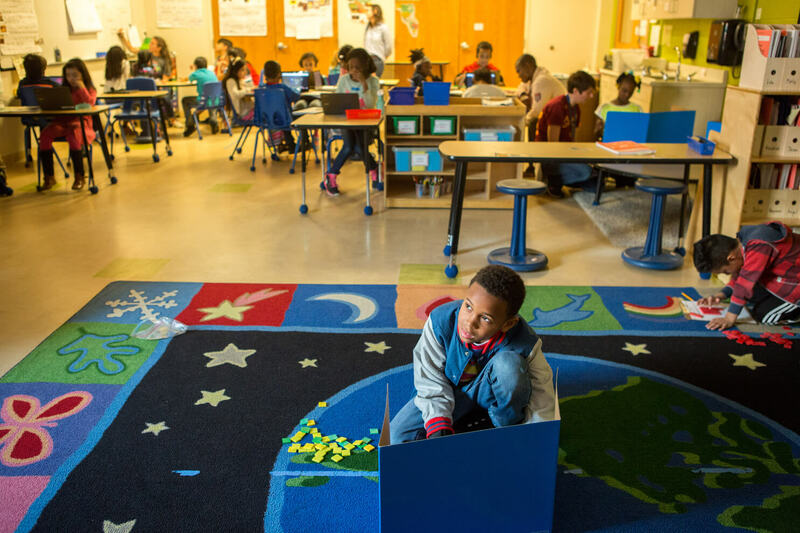 When bigger problems develop, teachers prompt the students to “circle up” into school-wide discussions. 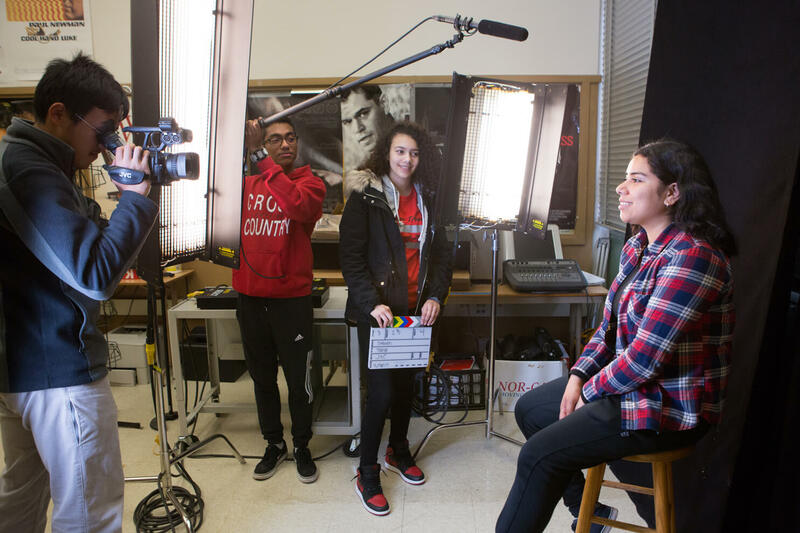 Emphasizing and supporting students developing their voice is a constant theme at EPIC. It’s not just having choice – it’s about effectively being able to communicate opinions, shape their environment, and engage in dialogue. 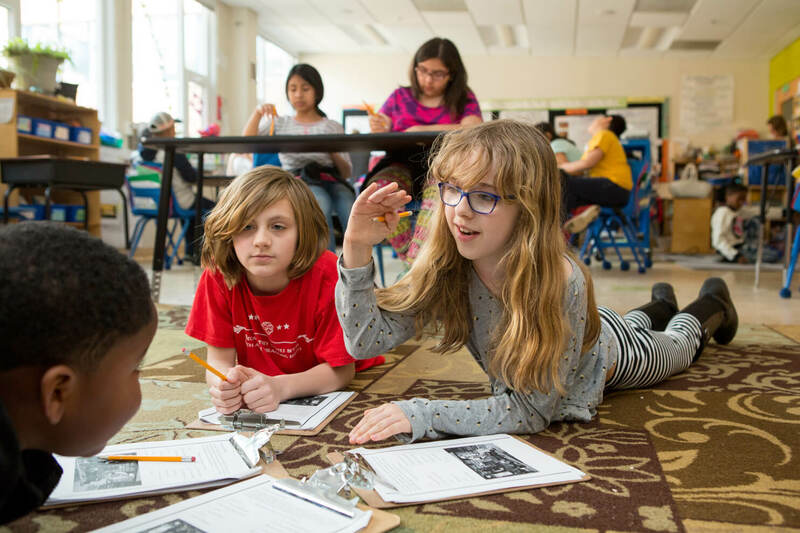 Like most mastery-based schools, EPIC is founded on the idea of student ownership, transparency of learning expectations, and demonstrating proficiency before advancing to the next stage of learning. 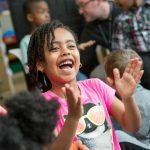 In this case, EPIC embeds the mastery-based structure within a tightly woven culture and programming based on youth development and future focus through CORE and Summer Bridge. The EPIC team used a competency framework to offer a comprehensive structure to describe graduation outcomes through a competency framework. 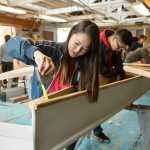 They engaged in a backward planning process that started with thinking about the competencies needed to have success in life, including spirituality, community, relationships, and success in college and career. That list generated sixty-five attainments and nineteen competencies, which they then cross-walked with Common Core and the CASEL social-emotional framework. One student explained to me, “Some competencies are academic and some are more emotional or social. 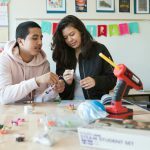 For example, working collaboratively is on the emotional side.” Jaciah, a tenth grader explained, “An attainment is a skill that you need to master before you get to college. 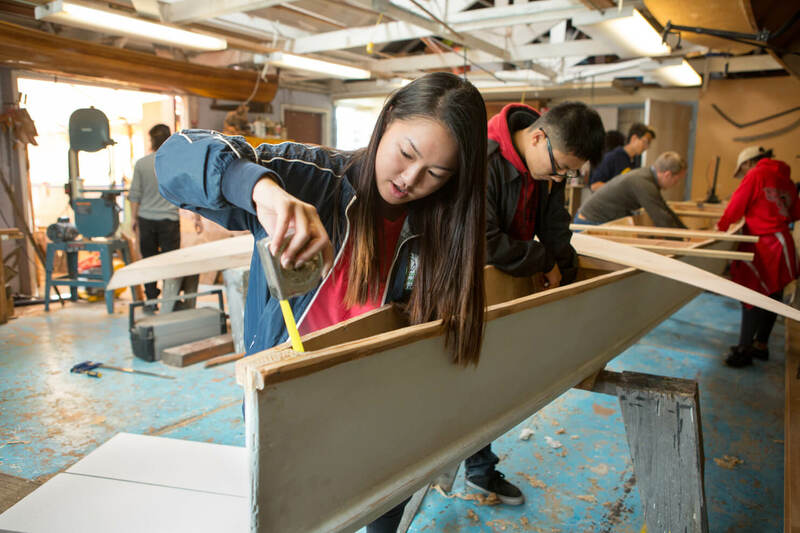 There are sixty-six attainments that you will need for jobs or college.” Another student emphasized that attainments make it easy to do interdisciplinary projects. He described the skills he was learning through the nature vs. nurture project, including learning about the scientific method, how to design an experiment, how to think about independent variables, how to be better at directing his learning, and how to design and implement a campaign. I can show strength and take action even in the face of fear. The competencies don’t feel like they were drawn out of Common Core or state standards. They feel rooted in the lives of the young people in the school. The students explained that even though sixty-six attainments is a lot, it’s not when you think that you have four years to reach them all. Students explained that when they feel that they have met an attainment, they go to a teacher with the evidence of their skill and ask them to sign off. Some attainments, such as those related to science, will need to be signed by Mr. Dash, the science teacher. Others, such as writing-related attainments, might be approved by any teacher. There are a number of incentives designed to help support students reach attainment. There is an awards ceremony every two weeks. If students really excelled on an attainment, they can ask someone to nominate them and write a speech about the experience of reaching that attainment. An award is given for each attainment. When students build up another ten attainments, they get a hoodie. However, you can lose the award of the attainment if your behavior changes or you fail to be consistently meeting it. There is a strong emphasis on communication and presentation at EPIC. I realized it during my first visit, as students had been very well coached on how to meet and network with a visitor. 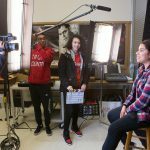 As we talked about the importance of communication, one student pointed out that he had met college-ready levels for presentation skills, including professionalism, making eye contact, knowing content well, and precision in talking about the topic. Another student was teaching others how to make presentations and helping them learn how to provide helpful criticism. Students also described the symposiums where the three EPIC schools all gather together and present ideas to each other. 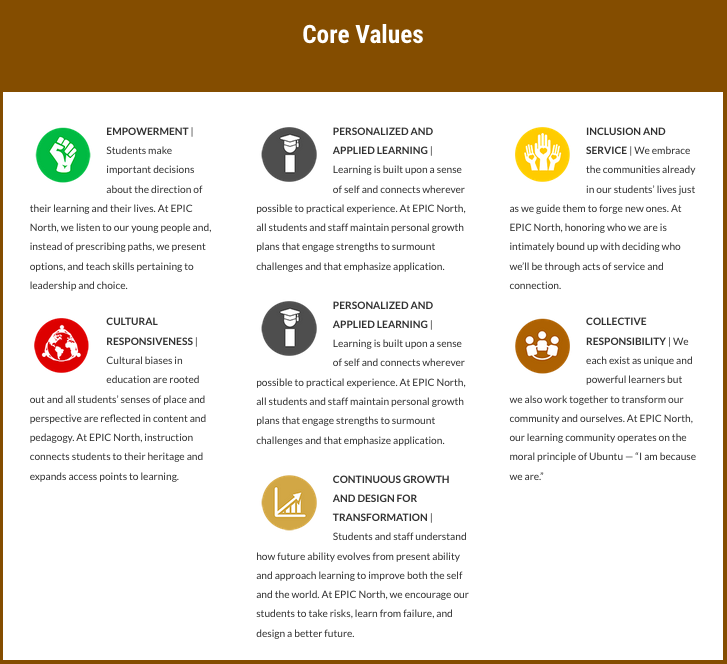 The final structure that EPIC reflects is a combination of academic and social-emotional competencies and attainments. 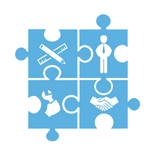 In the EPIC learning environment, attainments are considered discrete demonstrations of ability, while competencies are a set of aggregated skills (such as read analytically; write effectively; evaluate spaces, shapes, and conditions; practice social responsibility; manage my relationships; etc.). 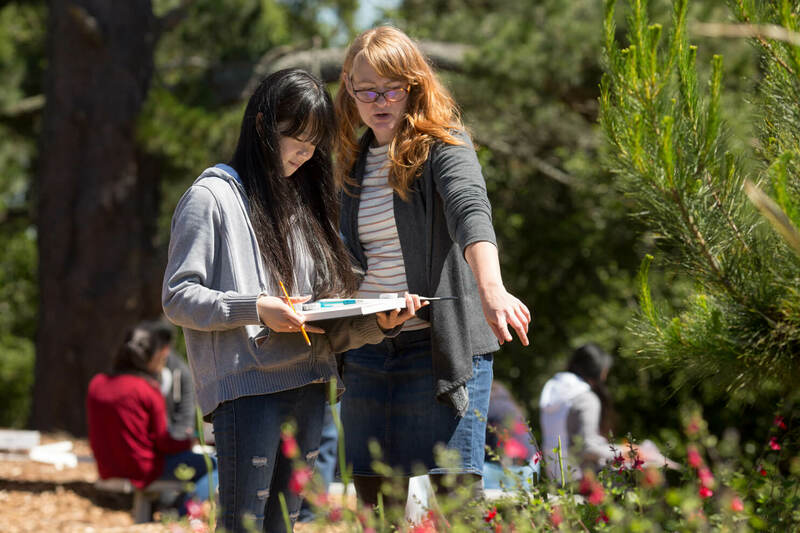 It is important to note that as a competency-based school, EPIC requires students to demonstrate their skills and abilities by completing rich performance tasks: multi-part demonstrations of learning that are tuned in advance to ensure certain qualities and components like cultural relevance and real-world transfer. EPIC North’s theory of action is based on the idea that youth development plays a powerful role in educating students. Below are three of the more systematic ways that EPIC North invests in youth development. 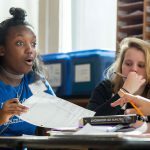 CORE is a daily advisory program for students where they focus on youth development issues, college and career goal planning, social-emotional learning, and general academic advising. Within the context of CORE, students check in one-on-one with their CORE facilitators/advisors. CORE is also the time to better understand the attainments, with groups picking a few to discuss in more detail. They go deeper to talk about what the attainments mean, how to know if you are actually attaining and demonstrating the skills, and the relevance to their lives. The Rite of Passage program supports young people as they reflect on their lives and develop the attainments that are more related to adolescent development. In other words, ROP is about students developing their own voice and agency, and they are doing so in the context of a society still battling racism and sexism. ROP is a single gender program that occurs once per week to delve into issues of identity and community among students. 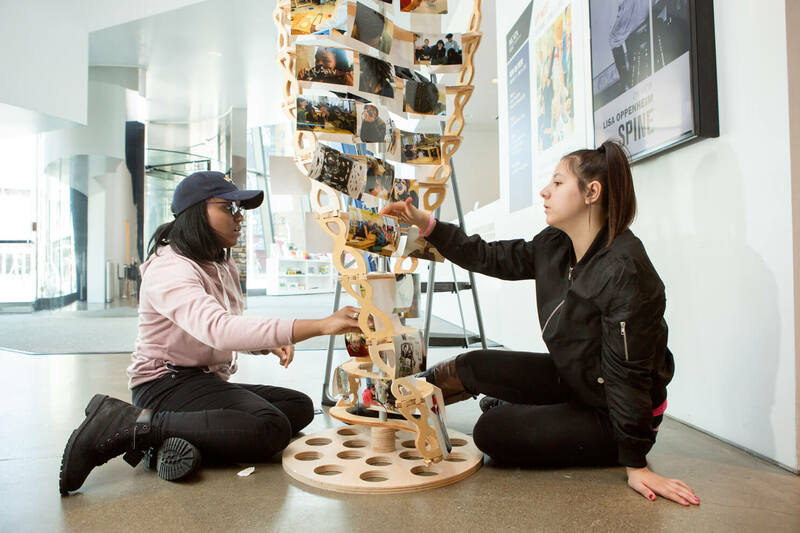 It is reserved as a sacred space where students are able to examine contemporary issues; personal takes on different roles; and various cultures, societal practices, belief systems, and expressions of self. I was invited to sit in on one of the teams, Brothers for Life. Before they started the day’s process, one student explained to me that Rites of Passage is a place where “we listen deeply to each other.” From there, they began to check in with each other, talking about how their weekend had been and things that were on their minds. Later, they would begin to dive into an issue, exploring what it meant to them and how they could support each other. The transformation from middle school kids to young men and women started with Summer Bridge. For two weeks before school opened, students participated in a rich leadership program. This included a college visit, team and community-building activities, and work on two performance tasks (the SELFIE project and the SHIELD to orient students to the school’s instructional model, develop artifacts that can be displayed throughout the school, and initiate early personal reflection and self-representation at the start of one’s high school career). EPIC North stands out among the many schools I’ve visited for its heavy investment in youth leadership. 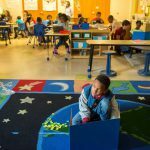 Too often we wait until students begin to have trouble before we create additional learning experiences, and that, traditionally, has been in the form of academic remediation. 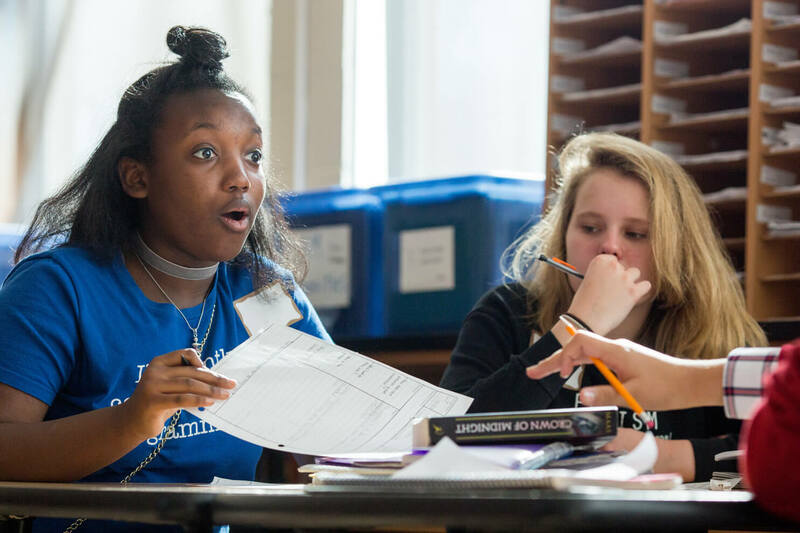 It makes much more sense to invest in youth leadership upfront, especially when working with students who are going to have to defy stereotypes, overcome additional challenges, and go beyond their family’s educational experiences. 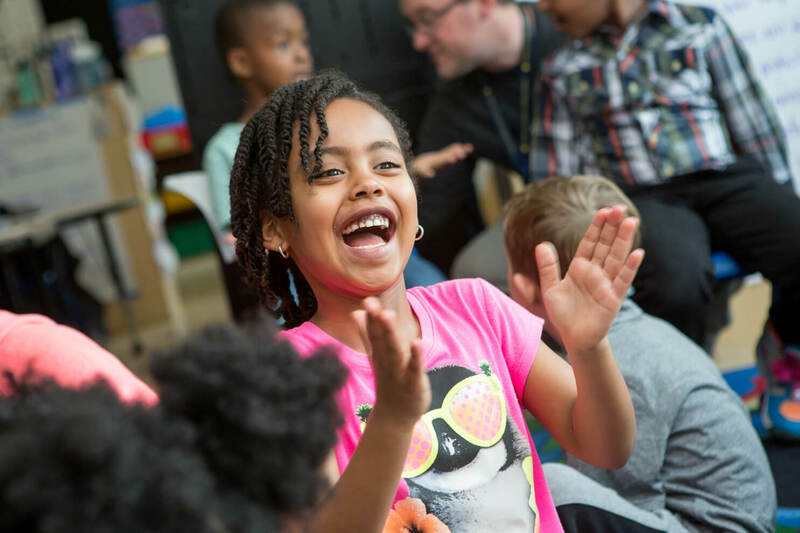 EPIC North is also staffing the schools so that pedagogues and youth development professionals are paired in classes to comprehensively support students and simultaneously develop, reinforce, and tap into each other’s roles and expertise. One of the benefits of competency education is that the instructional cycle becomes a school-wide approach. Teachers are no longer alone in trying to meet every student’s need, construct rich learning experiences, and design aligned assessments. Furthermore, variation in how teachers grade and assess proficiency is reduced so that students know what is expected to demonstrate proficiency. 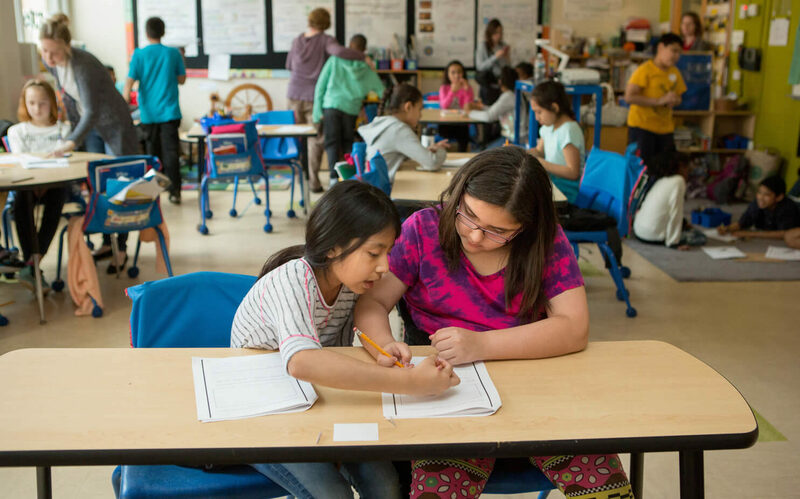 The process of calibrating the understanding of proficiency is often called “tuning.” EPIC schools has taken this concept and broadened it to mean tuning the design of the instructional cycle and content. 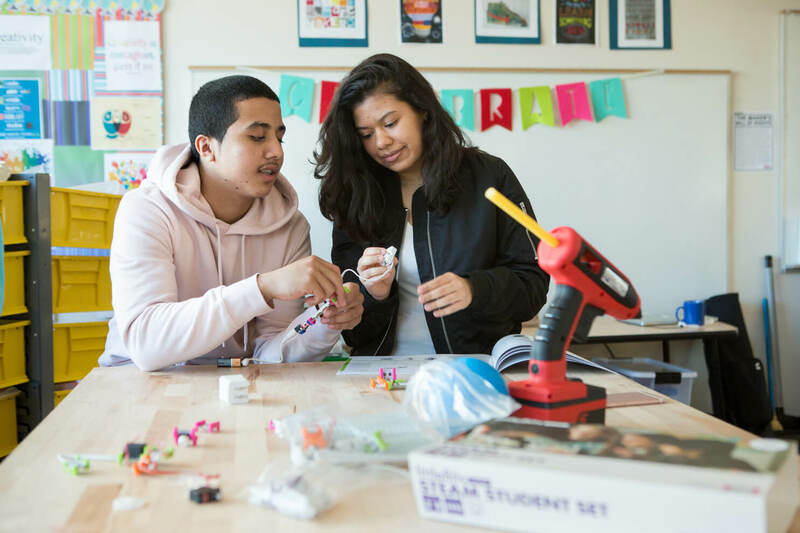 Adapting from others like High Tech High and Bronx Arena, EPIC recognizes that creating rich learning experiences is a highly sophisticated process requiring teams of people bringing their expertise together. 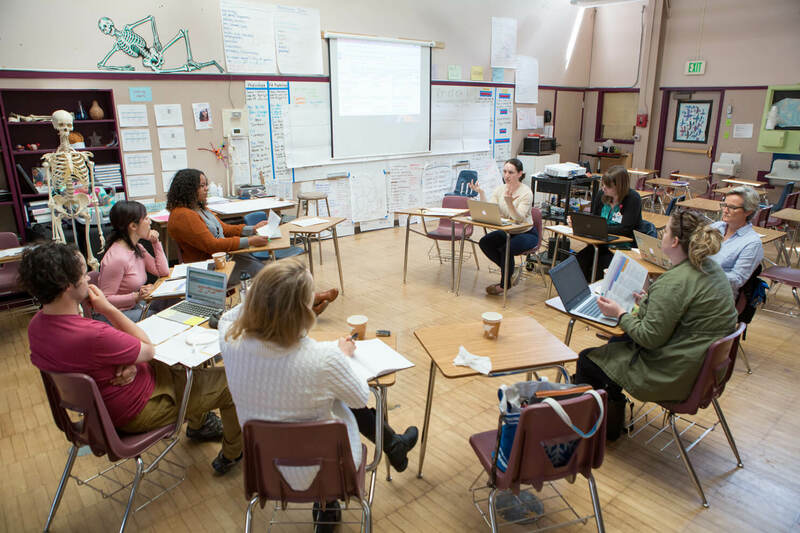 The “tuning criteria” that the ESI team has developed is extraordinary in its ability to help teachers think deeply about how they are designing the cycle of learning. 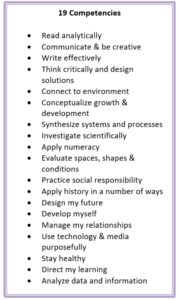 Designing learning experiences that incorporate all eleven criteria requires teachers to bring together everything they know. For example, at the Nelson Mandela School for Social Justice (one of the three EPIC schools), a history unit explores the theme of forced displacement, covering Native American Removal and Japanese Internment (U.S. History), recent gentrification in local neighborhoods Bushwick and Bed-Stuy (CORE), and makes connections to Rwandan genocide through close reading of the short story “My Parent’s Bedroom” by Uwem Akam (ELA). Attainments for this unit include understanding point of view (through A Cheyenne Odyssey interactive game), interpreting literature, and interacting with new media (creating Animoto presentations). Another great example of this process at work comes from EPIC South. In their “The Things We Carry” unit, students explore internal and external conflict, covering these themes in students’ personal lives: social cliques, gangs, personal tragedies (CORE); the Vietnam War, War in the Middle East, current events such as the Michael Brown shooting in Ferguson (U.S. History); and the exploration of memoir long form with the text The Things They Carried by Tim O’Brien and short form with student writing (ELA). 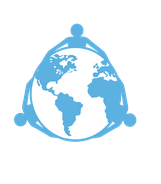 Attainments include persevering through challenges (discussion of conflict resolution in ROP), articulating complex thoughts in writing (personal memoirs), and valuing diversity (exploration of cultural connections to conflict). 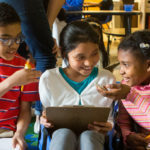 Staff and students use technology in multiple ways to support the cycles of learning as productive tools and as supplemental instructional support, as needed. Students interact with the schools’ LMS (Educate) and relevant Google programs to receive, complete, and submit assignments, to collaborate, and to track their learning progress. As students access material and produce works, staff are available to provide direct feedback, support, and guidance. 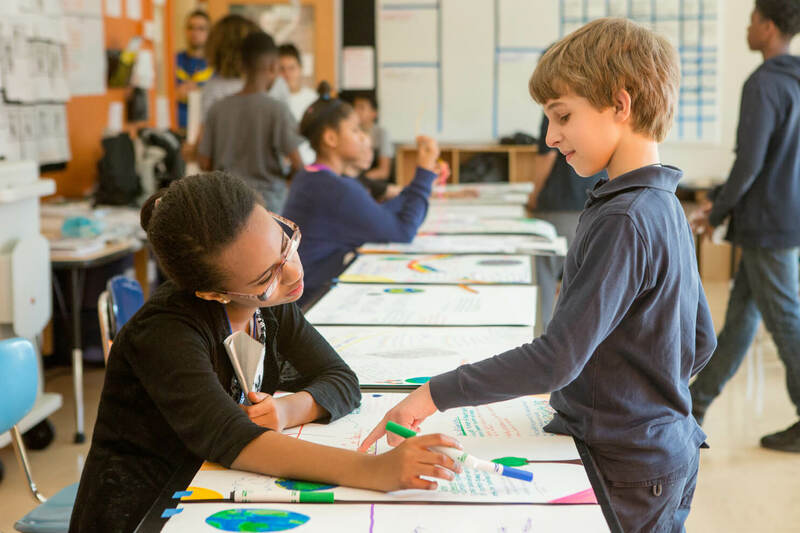 Much of the learning experience is based on active student participation in class activities, discussions, and labs that require collaborating with peers and working with teachers. Teachers may develop or procure digital content as needed. In classes like targeted support, students use interactive software to practice and develop their skills toward mastery. 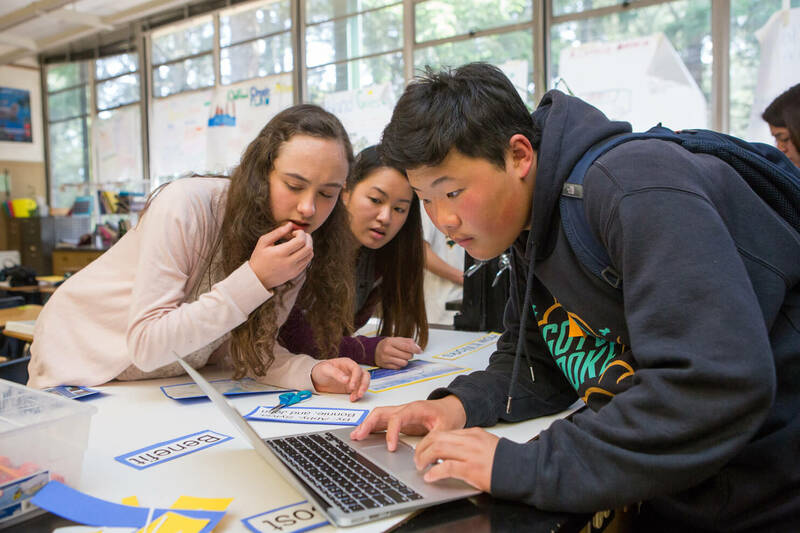 At the time of my visit, the ninth graders were involved with a project on contagion and the tenth graders on a project explaining nature vs. nurture, which included selecting a topic, designing an experiment, and running a social media campaign. Posters were up throughout the school on gender inequality, incarceration rates, and various diseases that the students were designated to build awareness of. I had the chance to sit in on a press conference by one of the ninth grade teams in which they took on the roles of mayor, the Commissioner of Public Health, a representative from the CDC, and a public relations official to present their recommendations for dealing with an outbreak of pertussis and streptococcal pharyngitis. The audience, which included staff, students, the NYC Department of Education’s Digital Ready team, and myself, were all invited to ask questions and provide feedback on the presentation using a rubric for Attainment #11, “I can facilitate a meeting or workshop.” The team of students provided their analysis by drawing on science and math as well as a set of recommendations that included a quarantine. Science teacher Tyrone Dash asked probing questions to determine the depth of the understanding of the students on key terms and concepts such as differential diagnosis, epidemiological triangle (host, agent, environment), death rate, and exponential growth. Principal David Weinberg played a critical role in setting very high expectations for students to have thoroughly thought through the costs and implications of their recommendations. Weinberg was clearly communicating his expectations of the students and signaling that he deeply believed in them and their capacity to excel. Working at my own pace really helps me. It makes a difference when you need extra help from the teacher. You can take the time to get it. Deadlines can really stress you out. You have to work with your advisor a lot in the beginning because everything is self-paced. I am learning the skills that are helping me organize my life. It was clear that at EPIC North, pace isn’t about fast or slow. Managing the pacing of your studies and implementing complex projects is part of learning to be a self-directed learner. High expectations. Rigor. Deeper Learning. These are all terms that fly around the rhetorical world of education. But what do they really mean in terms of the day-to-day lives of students and teachers? 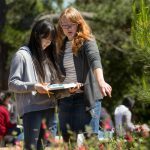 You can count how many AP courses there are or how many students are passing the exam. Of course, the proxy of teaching grade level standards isn’t the same as students actually learning the prerequisite skills they need to attain them.